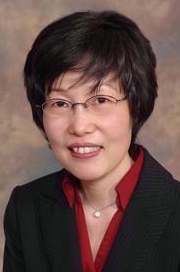 Seong-Yi Baik is an Associate Professor at the UC College of Nursing. Dr. Baik holds a PhD degree from University of Wisconsin-Madison (Major in Nursing and Minor in Preventive Medicine). Dr. Baik, with her multidisciplinary team, has been involved in health services and patient outcomes research in depression care and depression comorbidities. Building upon her NIH funded research on depression care in primary care, her recent research interests are in the effect of depression comorbidities on patient outcomes and self-management. The long-term goal of her research focuses on designing and implementing self-management interventions for patients with depression comorbidities while empowering those affected by depression and depression comorbidities. Dr. Baik has taught many courses over the past 17 years. Currently, she teaches the Healthcare Policy (Master’s), the Evidence-based Practice Research (Master’s), and the Qualitative Research Method, Advanced (PhD). Baik SY, Oakley LD, Hoebeke R (2001). Understanding managed care: Practice implications for NPs. Clin Excell Nurse Pract., 5, 232. Baik, SY (2001). How is depression recognized by primary care providers in managed care settings? : A qualitative research study. Annals of Behavioral Medicine, 23, S104. Baik, SY How do primary care providers recognize depression? : A study of contextual conditions that shift primary care provider's recognition of depression. Baik SY, Bowers BJ, Oakley LD, Susman JL (2005). The recognition of depression: The primary care provider's perspective. Ann Fam Med, 3, 31. Baik SY, Bowers BJ (2006). Living with a chronically depressed mother: Tell or not to tell?. The Internet Jounal of Mental Health, 3(1), 14. Baik SY, Bowers BJ, Oakley LD, Susman JL (2008). What comprises clinical experience in recognizing depression?. J Am Board Fam Med, 21, 200. Anthony JS, Baik SY, Bowers BJ, Tidjani B, Jacobson CJ, Susman JL (2010). Conditions that Influence the Primary Care Clinician's Decision to Refer Patients for Depression Care. Rehabil Nurs, 35, 113. Baik SY, Gonzales, JJ, Bowers BJ, Anthony JS, Tidjani B, Susman JL (2010). Reinvention of depression instruments by primary care clinicians. Ann Fam Med, 8, 224. Lee H, Baik SY (2011). Health Disparities or data disparities? : Sampling Issues in Hepatitis B virus infection among Asian American Pacific Islander studies. Appl Nurs Res., 24, 9. Lee H, Fitzpatrick JJ, Baik SY (2012). Why isn't evidence based practice improving health care for minorities in the United States?. Appl Nurs Res, 26, 263. Baik SY, Crabtree BF, Gonzales JS (2013). Primary care clinicians' recognition and management of depression: A model of depression care in real-world primary care practice. J Gen Int Med, 11, 1430. (07-2007). “Depression in Primary Care: Just Another Illness?”. University of Robert Wood Johnson Medicine& Dentistry of New Jersey ,New Jersey. (10-1999). Nursing 704: Leadership in Nursing Roles, Ethics, and Systems of Care. “Managed Care Systems”. University of Wisconsin-Madison, School of Nursing ,Madison, WI. (11-1999). Nursing 105: Introduction to Health Care Systems: An Interdisciplinary Approach. “Public Health Challenges: Mental Health and Illnesses.”. University of Wisconsin-Madison School of Nursing ,Madison, WI. (02-2000). “A Grounded Theory Study of How Depression is Recognized by Primary Care Providers in Managed Care Settings.”. University of Wisconsin-Madison, School of Nursing Research Colloquia ,Madison, WI. (02-2000). Nursing 302: Nursing Research. “Grounded Theory as a Qualitative Research Methodology.”. University of Wisconsin-Madison, School of Nursing ,Madison, WI. (04-2000). “How Do Primary Care Providers ‘Recognize' Depression in Managed Care Settings?”. University of Wisconsin-Eau Claire, School of Nursing/ Sigma Theta Tau International Nursing Honor Society-Delta Phi Chapter, Kaleidoscope of Nursing Research Day ,Eau Claire, WI. (10-2000). Nursing 105: Introduction to Health Care Systems: An Interdisciplinary Approach. “Economic Aspects of Health Care Delivery.”. University of Wisconsin-Madison, School of Nursing ,Madison, WI. (11-2001). Nursing 802: Roles, Issues, and Ethics in Advanced Nursing. “Managed Care.”. University of Cincinnati College of Nursing ,Cincinnati, OH. (11-2002). Anthropology 504: Ethnographic Methodology. “Grounded Theory: Theory from Data.”. University of Cincinnati College of Anthropology ,Cincinnati, OH. (11-2002). Nursing 961: Phenomenon of Concern to Nursing. “Phenomenon of Depression in Primary care.”. University of Cincinnati College of Nursing ,Cincinnati, OH. (12-2002). Nursing 851: Epidemiology in Nursing. “Epidemiology in Mental Health.”. University of Cincinnati College of Nursing ,Cincinnati, OH. (03-2003). Nursing 460: Foundation of Nursing Research. “A grounded theory study of how depression is recognized in primary care.”. University of Cincinnati College of Nursing ,Cincinnati, OH. (04-2003). “How do primary care providers recognize depression? : A study of contextual conditions that shift primary care providers' recognition of depression.”. University of Cincinnati Institute for Nursing Research, Scholarly Roundtable ,Cincinnati, OH. (11-2004). Nursing 961: Phenomenon of Concern to Nursing. “Evolution of the phenomenon.”. University of Cincinnati College of Nursing ,Cincinnati, OH. (04-2005). “Depression in Primary Care: Just Another Illness?”. University of Cincinnati College of Medicine Department of Family Medicine. Research Review Group. ,Cincinnati, OH. (11-2005). Nursing 961: Phenomenon of Concern to Nursing. “What does it take to develop your program of research? : Evolutionary process”. University of Cincinnati College of Nursing ,Cincinnati, OH. (09-2006). “Qualitative” Research?. Cincinnati Academic Health Center. Qualitative Research Group. (09-2006). “Multiple Determinants of Health”: Conceptual framework for our PhD program. University of Cincinnati College of Nursing, Doctoral program orientation ,Cincinnati, OH. (11-2006). Nursing 961: Phenomenon of Concern to Nursing. Developing your program of research: An evolving process.. University of Cincinnati College of Nursing ,Cincinnati, OH. (03-2008). “ Improving Health trough Depression Care in Primary care setting.”. University of Cincinnati. UC Showcase 2008 ,Cincinnati, OH. (05-2008). Nursing 980: Health Policy and Ethical Issues in Nursing Science. “Health disparity: implications for health policy and health services research.”. University of Cincinnati College of Nursing ,Cincinnati, OH. (11-2008). “Qualitative Research Methodology.”. University of Cincinnati Department of Public Health ,Cincinnati, OH. (06-2009). “Reinvention of depression diagnostic tools.”. University of Louisville Department of Psychiatry Grand Round ,Louisville, KY.
(03-2013). Nursing Inquiry II [PhD] “Theory Development.”. University of Cincinnati College of Nursing ,Cincinnati, OH. (10-2013). “Solving Problems with Interprofessional Teams.”. UC Health and the University of Cincinnati Academic Health Center. Research Week Research Presentation ,Cincinnati, OH. (02-2016). Patient-Centered Outcomes Research and Comparative Effectiveness Workshop.. Served as a discussant for Research Method group. University/College Service 05-2003 Initiated, organized, and cosponsored interdisciplinary participation in Qualitative Data Analysis computer program workshop “NVivo, and Merge for NVivo” by Dr. Kristi Jackson. ---Participation from the College of Nursing, Department of Family Medicine, Anthropology, and Institute of Health Policy and Health Services Research. May 7-8, 2003. Committee Chair University/College Service 06-2005 Organizing and chairing Qualitative Research Group: Qualitative researchers from the University of Cincinnati Academic Health Center. First Fridays, 2-3pm in the Institute of the Study of Health [formerly, Institute for Health Policy and Health Services Research]. University/College Service 12-2005 Co-organized and co-sponsored with Institute for Nursing Research Dr. Barbara Bowers's visit to the college of nursing as an one-day visiting scholar (12/08/05) and to the Institute for the Study of Health (12/09/05). ---Continuing Ed credits offered. Type:Conference Attendance 09-2002 Organization:National Institute of Nursing Research Title:State of the Science 2002 Congress. Location:Washington, D.C. Description:~~The Eighteenth NIMH conference on Mental Health Services Research. July 18-19, 2005. Bethesda, MD. Description:~~The 19th NIMH conference on Mental Health Services Research. July 24-25, 2007. Washington DC. Description:~~Building the Science of Dissemination and Implementation in the Service of Public Health. September 10, 2007. NIH Campus, Bethesda, MD. Description:~~CTSA Workshop: Accelerating the dissemination and translation of clinical research into practice. May 9, 2008. NIH Campus, Bethesda, MD. Description:~~The 2nd Annual NIH conference on the Science of Dissemination and Implementation: Building research capacity to bridge the gap from science to service. January 28-9, 2009. NIH Campus, Bethesda, MD. 07/09 The 20th NIMH conference on Mental Health Services Research. July 20-21, 2007. Washington DC.